Many of us felt helpless because while we were informed to change our passwords, at the same time, we were told that wouldn’t make any difference if the sites hadn’t patched the vulnerability. The good news is most sites quickly worked to repair the patch to make the site secure again so changing your passwords is a great idea now, even if the site in question was not reported as being affected by Heartbleed. LastPass is a free app that provides complete, secure password storage and it goes steps beyond just storing passwords with helping you create secure passwords; it also informs users of potential or actual security breaches to help protect your accounts. I recently signed up and immediately was notified of security breaches in my Google accounts that I was able to fix easily. It installs to your browser (mine’s been working great in Chrome) and you can also download a desktop launcher for easy access. Additionally, LastPass shows which of the sites I use were affected by the Heartbleed bug and whether my account is secure or not. 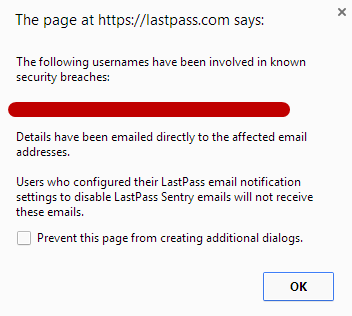 LastPass checks sites you use for the Heartbleed vulnerability and checks to see if your account is safe. LastPass is a great option for those who are unsure of whether their passwords are strong as well as those who have trouble remembering all of their passwords. Previous Previous post: What the Heck is a Hashtag?